Momentum Climbing is one of the action-oriented companies that developers are bringing in to a revitalized Trolley Square. Like movies? The owners of Trolley Square plan to have six theaters showing first-run movies when the renovation of their historic commercial area is complete. Enjoy eating or drinking? Trolley is looking to establish a “curated food hall” that provides stalls for a regularly “rotating series of local gourmet concessionaires,” along with space for a beer hall, similar to popular venues in Denver and Seattle. Into fitness? 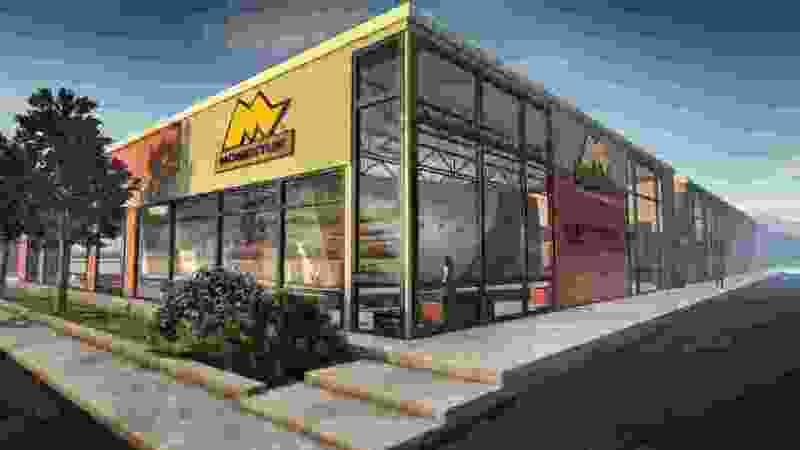 Momentum Indoor Climbing will be offering 11,000 square feet of bouldering and training space in a new indoor gym, its fourth in the Salt Lake Valley. Trolley’s owner, the SK Hart Group of Cos., also is negotiating with a national company about opening a workout facility adjacent to the climbing gym. “Part of our merchandising mix is focusing on the fitness segment,” said Taymour Semnani, the company’s general counsel, in advance of Tuesday’s unveiling of general plans for the bus-barn-turned-shopping-center along 700 East, between 500 South and 600 South. 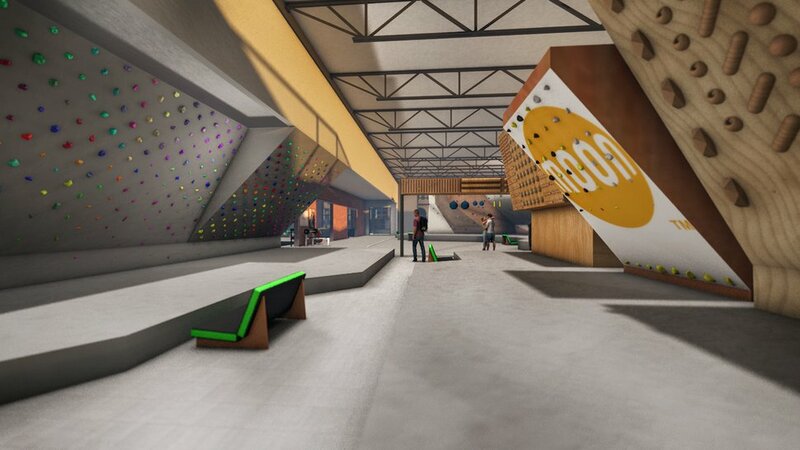 This artist's rendition shows the interior of a Momentum Climbing indoor gym destined for Trolley Square, offering climbing routes for people of all abilities. City officials, community leaders and representatives of the retail and development sectors have been invited to a 5:30 p.m. dinner in Trolley Square’s south atrium to learn details of the upgrade, which will coincide with the construction of up to 400 housing units on the south side of 600 South. Salt Lake City Councilman Derek Kitchen, whose district includes Trolley Square, had not been informed of development-concept details, but he was generally pleased with the approach SK Hart was taking. He said it was consistent with the City Council’s decision last fall to approve zoning designed to help the residential-commercial mix thrive. Because the existing pedestrian bridge will connect that housing to Trolley Square, the “face” of the revamped mall will be shifted from its present frontage on 700 East to the 600 South side. The bridge, Semnani said, will take pedestrians into the existing two-story building on 600 South’s north side, a brick-and-iron structure that will be reconfigured to house the movie theaters, more retail storefronts and, possibly, the food/beer hall. Another potential site for that eating and drinking haven is the building that used to house Green Street, one of Salt Lake City’s most highly visited private clubs in the days when state law required membership for entry. Semnani said his company is negotiating with two developers of curated food halls about a possible venture in Trolley Square. SK Hart also is in talks with two Salt Lake City television stations, he added, about the possibility of reviving the use of Trolley Square’s iconic water tower as a weather-forecast sign, one color meaning clear weather, another warning of an approaching storm. 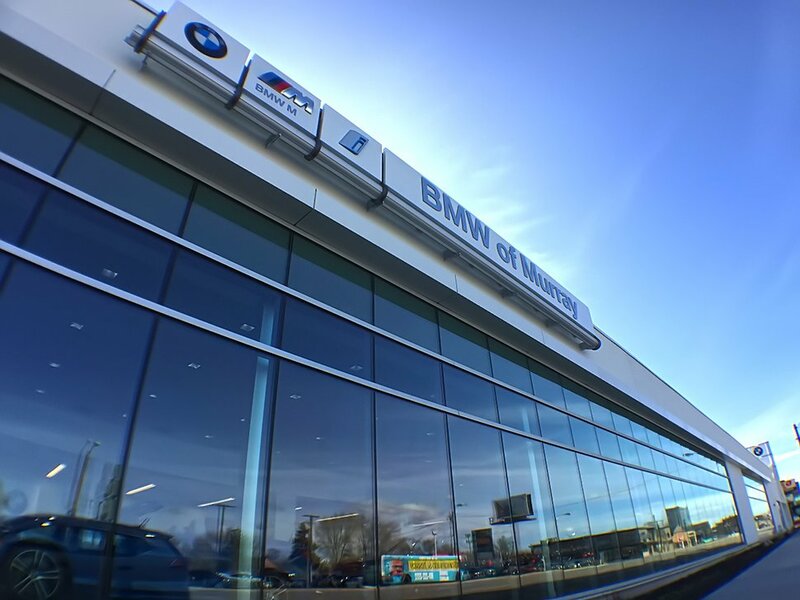 BMW of Murray will have semipermanent displays at Trolley Square when its renovation is complete, part of the effort by developing SK Hart company to use top-flight Salt Lake Valley companies to attract other talent. • Reworking the retail space. • Being involved in the TV promotion (with the possibility of having an on-site broadcast booth). • Building the food/beer hall. • Developing the movie/entertainment center, which also is envisioned as a gathering space for games involving the Utah Jazz and college teams. • Managing Trolley Square’s parking. Proposals are due Oct. 1. Semnani was reluctant to set a timetable for this development to occur, noting that a prime consideration is to help existing businesses survive construction so they can thrive with what comes next.